Orders within the European Union are not possible! What is wireless spy ear for? 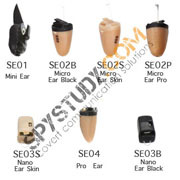 Wireless Spy Ear is a part of the spy set which is produced for covert communication in business presentation, exams, test, or personal protection. The invisible spy ear is employable for work with mobile cellphone devices. Simply insert earphone spy ear in your ear and connect your bluetooth transmitter with your mobile phone, then you could hear whispers from your companion. The spy ear is a very small and wireless, they are invisible for other people. Working principle of covert micro earpiece. Covert micro earpiece is receiving device which is driven by electromagnetic induction. micro earpiece is used in combination with bluetooth transmitter such as SBL-01ST. The bluetooth transmitter you can use with any mobile phone. No sales for European Union!!! 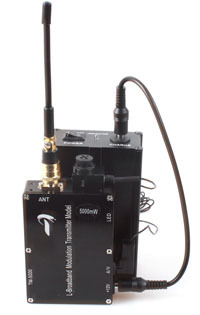 1.2 GHz AV transceiver. Powerfull 5 watt hidden live camera system including 5000 (extremely strong output power) mw wireless transmitter, audio and video receiver and dual li-batteries. Offers excellent transmission solution in building areas Transmission distance 1000 to 1500 meters in open area. 2 Year Warranty. The best spy system 2012. New amplified bluetooth neckloop and covert wireless earpiece system. Each pack contains everything you need to start a wireless covert communication through mobile phone. Exclusive developed MUTE and SOS functions provide safer and and easier communication solutions. 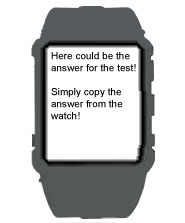 Fashion designed hidden e-book reader and mp4 watch player with 4 GB memory. Use video / audio player and hear all wireless with covert spy erpiece. 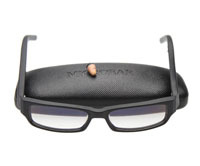 Works with spy micro ear up to 30 cm. Buil in high capacity Li-ion battery. Multiple functions and hidden operation available. Includes one year warranty. 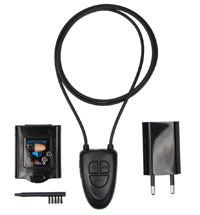 Wireless spy covert earpiece and hidden live camera – the world's best method to cheat a test! Who is not familiar with the good old crib sheet: A small piece of paper, also called the cheat sheet or crib, which year after year helps us through important tests and exams. The most important thing in a crib sheet: to cramp in as much legible information in the smallest possible space – and of course hide it well. While the rest of us still remember those cheat sheets on glue sticks, drink packs, or also inside calculators, nowadays cheaters, students and exam candidates around the globe are getting increasingly creative when it comes to cheating. The good old crib sheet is now slowly but surely being replaced by various spy gadgets. A very popular method: MP3 players or even a mobile phone with recording function. The required information is recorded before the exam and then played during the exam. However, standard headphones always involve the risk of being discovered – not so the latest generation of wireless spy micro earpiece! 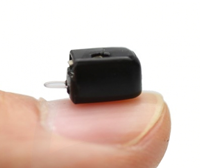 Wireless spy micro earpiece, or also bluetooth spy ear, work like a very small in ear receiver station that is placed in your ear. The mobile is in your pocket, the build in microphone under your clothes and the wireless spy micro earpiece hidden inside your ears - you can hear everything and are also heard! Test the wireless bluetooth micro spy ear yourself and you will be delighted. No more studying until deep in the night. Thanks to the wireless invisible micro earphone, you can take your exam fully relaxed and still get outstanding results. Here in the Spy Shop, you can get the bluetooth spy micro earpiece in the versions Nano spy ear, Micro hidden earphone and Mini covert earbud. The wireless spy covert earpiece is available as a wireless in-ear hands-free set or as an spy in-ear MP3 set, including necklace with built-in transmitter. Are you a real professional cheat, are looking for the latest technology and you want to know how to cheat a test? Then, the wireless spy hidden live camera is the right choice for you. Take pictures of your exam papers with the wireless hidden camera and send them to a laptop or the included monitor – which can be at a distance of up to 1000 m from the examination room – and your friend will tell you the right solutions via the wireless invisible spy earpiece. Get the bluetooth micro earphone and hidden live transmission spy camera now, here in the Spy Shop and sleepless nights before an exam will be a thing of the past. If you know great ideas about: "How to cheat a test" - write to me your idea!